Toys are an integral part of kids growing up and encourage proper mental and physical development. Parents, caregivers and pediatricians are very much aware of this and all give importance to good quality toys. However, what most parents do not know is that good toys do not give answers, but instead ‘demand’ questions and at the same time, provide possible solutions, thus stimulate learning, imagination, and creativity. Usually, these are the toys children play the most with and use in different ways. However, regardless of how good a toy is, it is important that it is appropriate for child’s age. 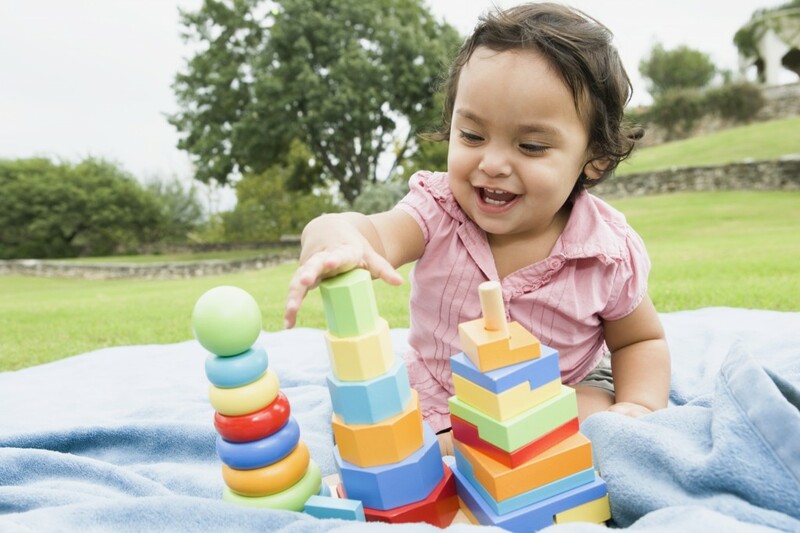 Ages: Birth To One Year – Toys for kids in this age bracket must above all be safe because in this period a child learns about the outside world visually and by touching and biting. To be more specific, babies first look at a toy, then touch it all around and at the end put it in a mouth. This is why toys mustn’t be made of more than one piece, must have rounded edges and without lengthy cords that can easily be wrapped around baby’s body. Also, the material a toy is made out of, is important and must be washable. Make sure the toy emits gentle soothing sounds since all babies fear loud, sudden noise. Choose light-weighted and colorful toys since they sooth the child because they resemble mother’s skin. The best options are stuffed animals. They are also known as transitional toys, as they provide security especially at bedtime. Ages: 1 to 3-4 Years – It is time for more complex toys since a child is up on his/her feet walking and exploring world around trying to understand cause and effect, while at the same time develops logical and verbal skills. Best toys for this age group are push and pull toys, colorful building blocks, various build-it-yourself sets and play centre equipment for kids. These building sets encourage learning of colors and shapes and relationships between different toy parts (large/small, above/under etc.). Since kids at this age love to experiment, interesting puzzles and colorful educational toys are perfect toys which will not only keep your child entertained, but will also stimulate the development of motor skills and logical reasoning. Good memory games that can be played together, toy cars, balls, dolls and phones are just few types of toys that children prefer. Also, of particular importance are pretend play toys for kids, that mimic the adult world, such as kitchen, tool, makeup, doctor, fireman sets and many more. But why are these toys so important? The way a child plays with these pretend toys can indicate child’s emotional and mental state. Ages: 4-5 to 7 Years – At this age, children already have developed good social network and are full of energy and imagination. Therefore, good toys are the ones that require action such as tricycles, bicycles, skates, colorful hoops, and various play balls. Also, drawing sets, clay and collage paper are perfect for kids in this age bracket as they encourages creativity and imagination. Games witch imply rule following such as monopoly, dominoes, chess for kids and various pretend toys play an important part in strategy learning, improve concentration and ability to predict and improve learning and behavior. Therefore, it is essential to choose toys which are age-appropriate for your children, to encourage physical and mental development, boost imagination and creativity and improve reasoning skills. Always choose a toy that will satisfy child’s needs rather than your own wishes and pay attention to the warning signs written on the package and follow user manual.